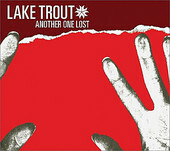 On their third full-length (second studio record), Lake Trout, a band often lumped into the jam band scene, move further and further away from that category. To move away from it, they blend modern rock and electronic, drum 'n' bass influences to create the sound found on Another One Lost, a sonically-rich, layered collection of Radiohead-influenced pop-rock. And while they're nowhere near as innovative as Radiohead, they do know how to follow the leader, and, in the process, create a burgeoning gem, a record that blends and molds various influences (such as the ones mentioned above), while still retaining its own clear path and distinctive bite. Another One Lost is, when all is said and done, a delightful electronica-infused pop-rock record that is hard to ignore once you've heard. I'll give it a B-.